Crush On Colour: Project Packs - Create at Home with CrushOnColour! Project Packs - Create at Home with CrushOnColour! 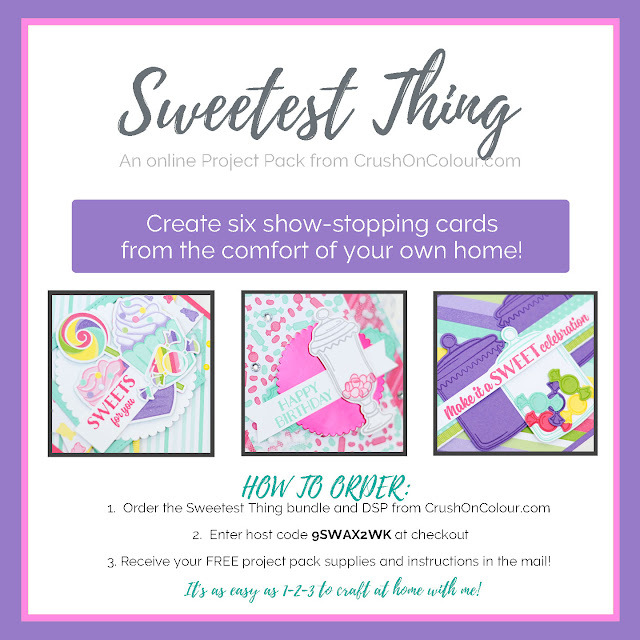 Sweetest Thing Project Pack - NOW AVAILABLE! 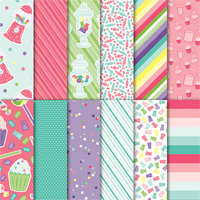 Celebrate spring, easter, birthdays, and all things SWEET with the Sweetest Thing Project Pack! Create at home with this online class, featuring SIX beautiful cards (two each of three designs) created exclusively for you by Shannon Lane, Stampin' Up! Demonstrator and two-time Artisan Design Team member. These cards are ONLY available through this Project Pack and will not be shown or available for purchase anywhere else! The Sweetest Thing Project Pack features cards that are super fun and great for all recipients - candy colours, sugary sentiments, and yummy designs. You won't want to miss this one! At checkout, be sure to enter host code 9SWAX2WK. You will receive an email with detailed instructions and beautiful photos to complete your cards, as well as a Project Pack Parcel via Canada Post. There are links at the bottom of this page to all items in this Project Pack - required and optional - for your shopping convenience. What comes in the Project Pack Parcel? 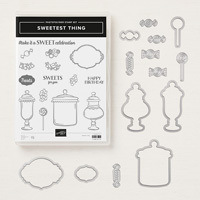 The Sweetest Thing Project Pack, free with your qualifying purchase, includes everything you need to create your cards - cardstock, diecut pieces, embellishments, and ribbon! BUT WAIT, THERE'S MORE... Sale-A-Bration is on until March 31st! Order your Sweetest Thing Project Pack before 11:50pm Mountain Time on March 31st and receive a FREE Level One Sale-A-Bration item from Stampin' Up! 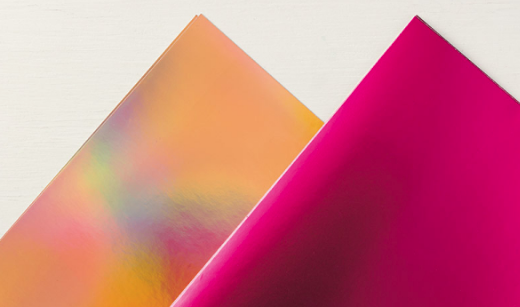 FREE BONUS: Wish you'd had a chance to order the gorgeous Grapefruit Grove & Lovely Lipstick Foil Sheets before they were gone? Receive a FREE sampler of these amazing papers with your Sweetest Thing Project Pack! Already own the Sweetest Thing bundle or any of the above supplies? No problem! Just purchase any supplies of your choice with a minimum retail value of $76 (before shipping and tax) and enter the host code above. 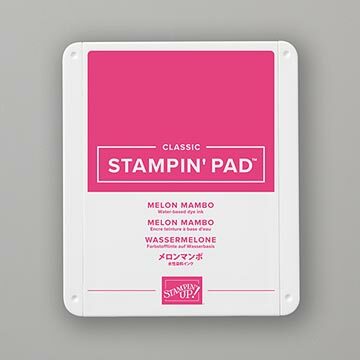 You will receive the Sweetest Thing Project Pack and you can complete it with your supplies. Skill Level: Beginner to Intermediate. While these cards have many elements, they come together without complicated techniques. 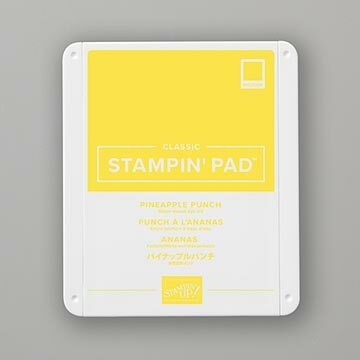 You will stamp, die-cut, and fussy cut. Classic Stampin' Pads in the following colours: Gorgeous Grape, Coastal Cabana, Granny Apple Green, Pineapple Punch, Melon Mambo, and Smoky Slate. Availability: This Project Pack from CrushOnColour.com is only available from March 29 to April 30, 2019, and only in Canada. For easy shopping, please use the links below!